Living in Northern Ohio as a young-'un, it was the Ohio Turnpike for me. At least twice a year, we would drive the Pike from Exit 10 (I-71) to Exit 5 (I-280) to see my relatives in Detroit, in addition to other trips to Cedar Point and the occasional trip to PA via I-80 or I-76. In the 70s, you used to be greeted on and off the pike with trapezoid entrance & exit signs, you picked up your ticket at the two-tone green toll plaza with green OHIO TURNPIKE letters above the plaza. Speed Limit signs on the trumpet ramps were white-on-green and ground-mounted BGSs at the splits would say (CONTROL CITY) & (CARDINAL DIRECTION). And if you were within 30 miles of the Ohio Turnpike, you could easily stumble across the occasional white-on-green Ohio Turnpike trailblazers with the round arrow that could be rotated to point in the proper direction. Once on the Ohio Turnpike, you had a white-on-green BGS where 3 speed limits were posted -- Cars, Trucks and Buses. Then there was one mileage sign for the next big control city (i.e. TOLEDO -- 100 MI). Many of the bridges over the turnpike were special. If they didn't have a state or US number to indicate the route that was crossing the bridge, you may have seen a green horizontal sign with some cutesy saying (i.e. STAY AWAKE/STAY ALIVE) or a blue horizontal sign stating the mileage to the next Service Plaza. We would usually stop at one of the three Service Plazas that we passed along the Turnpike. The original Service Plazas were full service SOHIO stations with a two-bay repair garage. The rest-rooms and vending machine hallway connected the garage with the gift shop and sit-down restaurant (usually Howard Johnsons). There was always a vending machine with gifts for the kiddos (a small compass shaped like a tractor tire, or a telescoping spyglass) a shoe buffer, and a coin-op scale. At the gift shop, you could buy popcorn, all-day suckers with the outline of Ohio in the middle and OHIO TURNPIKE atop and below it, and theatre-sized candy-bars and candy boxes, amongst other Ohio-branded trinkets. And all the signs within the service plaza were white-on-blue, including the speed limit signs. With very few exceptions in the 70s, all of the BGSs on the Ohio Turnpike were ground-mounted -- overhead gantries were used very sparingly, unless it was indicating the 2-mile or 1/2 mile warning before the next exit. OTC used detachable-text on all their signs -- some button copy, most just reflective lettering. And many of the larger square BGS were mounted off-center to the poles they hung on so they had their own little hip "look" to them. By the mid-80s when I started driving, speed limit signs were black-on-white, the trapezoidal signs were being replaced by square or rectangular "generic" compliant signs you would find on regular freeways. There were more exits being built to accommodate new freeway or road connections -- all being given "EXIT n-A" designations. The sit-down restaurants at the Service Plazas were being divided into 2 or 3 fast food outlets, while the service garages were used for storage as Self-Service gas was the norm. Also the size of the toll tickets shrank, leading many to have a good pair of glasses to read them. By the 90s, overhead gantries were popping up like weeds, the third lane project between Toledo and Youngstown was being implemented, and toll plazas were being rebuilt -- without the famous OHIO TURNPIKE lettering atop them. Exits were being converted from sequential to mileage-based. Gift shops were looking more like what you would see at your neighborhood gas/convenience store as the original Service Plazas were being rebuilt into larger Travel Plazas which look more like truck stops. Now with the EZ-Pass options, MUTCD-compliant signage and the lack of a grassy median across most of it's trek across the Buckeye State, the Ohio Turnpike looks and feels like just another interstate that just happens to be a toll road. Thanks for that trip down memory lane. I don't think the turnpike changed much between my first ride on it shortly after it opened and your memories from the '70s, aside from the erection of I-80, I-90, and I-76 shields. The IHS wasn't invented yet when I first rode the turnpike. My favorite feature of the Sohio stations was their terrific Ohio state maps. I had to get a new one each year. The Pennsylvania Turnpike still has the names of the interchanges on the big green signs. The 1990s brought large-scale changes with the start of the replacement of the original flat-roofed tollgates, and the removal of the pedestrian bridge across the Turner Turnpike at the midway service plaza. The tollbooths on the Muskogee and H. E. Bailey turnpikes had unique fold-down signs indicating which lanes were open, and the coin-only lanes had small green-tubed neon signs indicating "Coins Only". The raised-earth medians have been mostly replaced, too. Most with F-shaped concrete barriers, although there's a few sections where the median has been paved, and a cable barrier installed. Unique, but cheap-looking, and a real danger to motorcyclists. There is a COINS neon sign at the eastern (southern) toll plaza on the Muskogee Turnpike. Also, the section of the turnpike east (south) of Muskogee has the raised grassy median. I seem to remember part of the Indian Nation Turnpike having the raised grassy median as of a few years ago. They are scary, because there is absolutely zero left shoulder and the median starts rising right at the edge of the pavement. How anybody thought these medians were a good idea is beyond me. Were Oklahoma's highways designed by morons? True for the older, legacy interchanges. The newer E-ZPass Only interchanges do not feature such. They had to have a template to follow so they wouldn't CraIG COunty it. When I was little and my parents would travel along the Tollways and Turnpikes around the Midwest, each toll road would have it's own unique character along it's mainlines, toll barriers and especially at their service plazas where you could get food and gifts that were hard to find anywhere else. But especially over the last couple of decades, politics, modern technology and consistent signing practices have pretty much killed off the individual flavors of each toll road. - Over the tollway service plazas called "oases". - Longer than normal lane stripes. - Mileposts every quarter mile. - Left side yellow side marker reflectors when there's a grassy median. - Better signage and technology than the local DOT (not that that's difficult with IDOT). - Triangular sign bridges (as opposed to IDOT's square ones). - Accident investigation sites/truck pull off areas along rural sections of I-88 and I-90. - I-90 gets even more unique with the smart road (something IDOT distinctly lacks). Yes, it was a sad day when that McDonalds on the Skyway closed. The MassPike started to lose its uniqueness for me in the mid 1990s, when the service plazas were upgraded to the current mega-buildings, and the simple "FUEL-FOOD" signs (with one LOGO for each service) were replaced with the current multi-LOGO panels. The "final straw" for me was the conversion of AET, and removal of the ticket system (with those unique toll tickets others have mentioned). As I've noted in other posts, I have fond memories of the MassPike, the New Jersey Turnpike, and other East Coast roads, from riding them with my family as a kid from the mid-1960s to the mid-1970s. Although we never stopped at the service plazas, I still recall their appearance and, of course, the simple "FUEL-FOOD" signs. I also recall the first time we approached Exit 9 (Sturbridge) after I-86 had been changed back to I-84, and how the MA 15 shield on the exit signs was changed to "TO US 20". IIRC, older variants of the Pike's toll tickets as well as some old postcards/advertising/literature used to show a 50s-style cartoon pilgrim character on them. I tried doing a Google Search to find such but came up empty. I notice that no one mentioned the NY State Thruway; was that pretty much MUTCD all along? Though there was at least one sign they had was kind of unique -- when there was a service plaza on one side only, a sign facing the opposing traffic read something like "Service Plaza, this side, NN miles". Am I just remembering wrong, and those were really West and East respectively? Or did the Thruway continue with the North-South directions even after the road turned westward at Albany. Someone else mentioned vending machines with toys inside. On the NY Thruway, what I think was actually more of a sundry machine at one of the service plazas had these toy "magnetic dogs". Two hard plastic schnauzer-like dogs about a square inch each, one black one white, with a slightly rounded magnet attached to the bottom. Not completely sure why, but somehow these had a LOT of appeal for me as a small child. The OH Turnpike had something unique: a airport-like "gate" number matching the exit number. That is, just before the on-ramp at what used to be Exit 4, a sign read "Ohio Turnpike, Gate 4". Of course, toll road entrance signs can be a thread all its own (if it isn't already!). Another OH pike feature: the original service plazas had a large, metallic Ohio Turnpike Commission insignia mounted over the main building entrance. This was a large T, with an O in the middle of the riser, and a C inside that. Not sure why, but when we took a road trip at age 2 or 3 from Detroit (to Pittsburgh I think), this symbol was my PRIMARY memory of the journey! The symbols were removed in the mid-70s, probably due to concerns of the heavy items falling (I remember some slight disappointment when I noticed the labelscar), and now the old-school buildings have been demolished in favor of those new modern food-court-friendly structures. On the NJ Turnpike, one classic sign that still seems to linger is "No Stopping Except for Repair", despite some of MUTCD's preferred "Emergency Stopping Only" showing up here and there. These signs are usually mounted on an overpasses outermost pier. (Newer overpasses are avoiding this pier, opting for a wing wall or some other form of embankment.) I think there was an older version of the sign that was a different color and larger. On the NJ Turnpike, one classic sign that still seems to linger is "No Stopping Except for Repair" ... These signs are usually mounted on an overpasses outermost pier. So, basically, in the exact locations a driver might stop to (a) avoid hail damage or (b) let an overheating engine cool down? I, too, grew rather fond of the uniqueness of the various turnpikes and tollways across the U.S. Part of me was heartbroken to see the New Jersey Turnpike move away from its unique sign style and toward the prescriptive MUTCD style, but another part of me appreciates the efforts to make the NJTP's signage more consistent. And, as mentioned here already, the eventual conversion to all-electronic tolling (AET) will likely be the biggest turning point toward the homogenization of toll roads in the U.S. I just hope E-ZPass becomes interoperable nationwide before that happens. I have mixed feelings about the use of tolls to fund roads. It's been discussed at great length in other threads, but I believe there are pros and cons to the concept of tolling. One feature of toll roads that I greatly enjoy, however, is the service areas. These unquestionably provide a great convenience, especially to truckers, since it's much more of a hassle to leave the freeway system and navigate surface streets in an 18-wheeler than in a four-wheeler. In my opinion, the Ohio Turnpike has the best service areas out of all that I have visited. And part of this is because of their free showers and large truck parking lots (if you know anything about trucking, you know how much of a nightmare it can be to find parking). This being said, the aspect of newer toll roads that disappoints me the most is the lack of service areas. I don't recall seeing even one in Texas, and even though these newer tollways often go through urbanized areas, that didn't stop the ISTHA from building its Oases. As for my own state's toll road, the Kansas Turnpike, it wasn't the most unique in my living memory. But I was born in 1984, and the Kansas Turnpike's history goes back almost 30 years prior. The signage adheres fairly closely to "vanilla" MUTCD standards, although, in my opinion, some of the sign displays leave room for improvement in terms of consistency and information communication. Although, from what I recall, the Kansas Turnpike was one of the earlier adopters of electronic toll collection (ETC--in the form of K-TAG), it was rather slow to catch up with other toll roads in providing high-speed ETC lanes. It only recently upgraded the I-70 toll plazas to include high-speed ETC lanes. They're also planned for the southern I-35 toll plaza, but they have yet to be built. 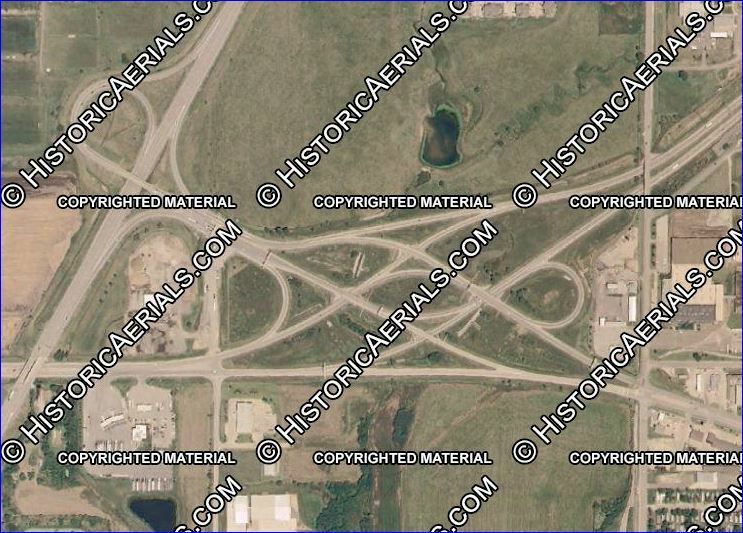 It may also be noteworthy that, in a similar vain to the Pennsylvania Turnpike, the Kansas Turnpike also has a bit of an ongoing history of awkward turnpike-to-freeway connections. Exit 50 for US 54/400/Kellogg Avenue Freeway used to be a double-trumpet when Kellogg Avenue was a surface road, but now it only provides direct access to the eastbound frontage road, thus requiring indirect access to the freeway. Exit 53 for the K-96 freeway uses at-grade intersections between the toll plaza and the freeway. The new interchange between the Kansas Turnpike and US 54/400/Kellogg Ave. Fwy. (probably Exit 52) will be a partial interchange using ETC-only ramps, from what I understand. Exit 127 for the I-35 TOTSO was directly freeway-to-freeway as long as I remember; it used to be an awkward configuration for I-35 traffic, but it has since been streamlined. Exits 182/183 for I-70 saw a MASSIVE upgrade in the 2000s, greatly improving traffic flow, though using much more land area than before. And finally, Exit 197 for K-10, a future freeway, uses at-grade intersections, and, to my knowledge, no plan for a direct freeway-to-freeway connection has yet been finalized (although, if KDOT could settle for a low-speed interchange, it should be easy to build 20-MPH slip ramps for the major movements and roundabouts for the rest [which I've discussed elsewhere]). Finally, there is the issue of the Kansas Turnpike's service areas, which I find to be a great amenity. People who have traveled the nation's turnpikes have likely noticed that some of them use right-hand exits for service areas (sometimes with a separate service area on each side, and sometimes with an overpass from one side to the other), but others use left-hand exits and place the service area in the middle of the road. The Kansas Turnpike did the latter until it relocated and rebuilt the Topeka service area (which uses right-hand exits, a single service area on the north side, and ramps to and from the south side). I personally dislike the left-hand entrance ramps of some the older service areas, as it can be difficult to merge from the left into the left-hand lane of a freeway signed for 75-MPH traffic. I think some rather drastic safety improvements may be called for here. So, even when the Kansas Turnpike moves to AET, as I suspect all toll roads eventually will, I imagine it will retain some uniqueness due to the unusual turnpike-to-freeway connections, and the many service areas. 1. The opening of I-95 east of East Lyme. 2. CT 52 becoming I-395. 3. The (hopefully not temporary, although it's been 30+ years) removal of tolls on the Turnpike. 4. The renaming of the highway to the John Davis Lodge Turnpike. Now most people just refer to the highways by their individual numbers. 3 and 4 took place almost simultaneously, but interestingly, this was also the period when the rest areas were upgraded to the levels of the Mass Pike and NY Thruway by adding McDonalds locations to most. These and the ones on the parkways have since been refurbished with Subway, Dunkin Donuts, and convenience stores. At least as long as I've been alive. A roadgeek can still easily tell the difference between a NYSDOT freeway and the Thruway, though non-roadgeeks probably wouldn't. Does the Kansas Turnpike still have that weird radio station that provided information about road conditions and what not? It was both creepy and anachronistic at the same time. Is that not Highway Advisory Radio? A number of states use that. According to that chart they use 530 AM, 1610 AM, and several shortwave channels. The other frequencies are not shortwave, they're VHF and UHF frequencies for two way communications. The AM frequencies they use are actually quite common across the country, used for Highway Advisory Radio. They're generally only 10 Watts. The other frequencies weren't in the 88-108 MHz FM band, what I was indirectly saying. So they aren't Highway Advisory Radio but part of the KTA internal communication system? That's right, they are two way communications frequencies, likely used for police, maintenance and plows; things like that.